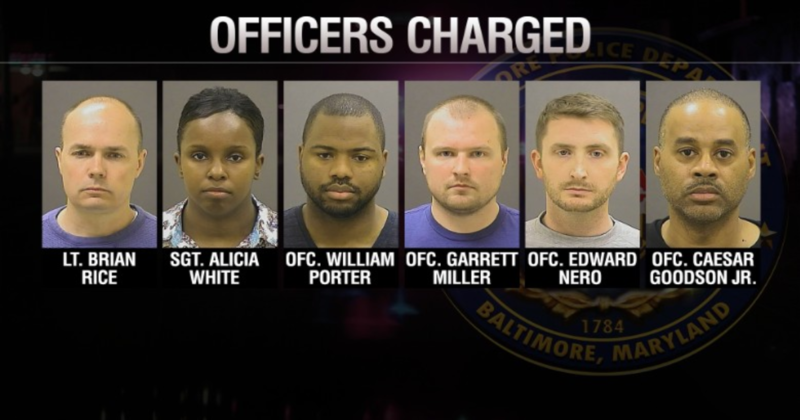 In Baltimore on Wednesday, the jury who was to rule over the trial of the first of six police officers being charged in the death of Freddie Gray declared the proceedings a mistrial. The Jury could not agree without a reasonable doubt that officer William Porter was guilty of second-degree assault, involuntary manslaughter, reckless endangerment, and misconduct while in office. With the ruling, no one is quite sure what will happen now with Officer Porter, but prosecuters are upset that a mistrial means that Porter is not required to testify against the other five officers. The streets began to crowd in Baltimore with protesters in the wake of the announcement, but the family of Freddie Gray urges the masses to “be calm.” They say that they trust the legal system and do not fault the hung jury.